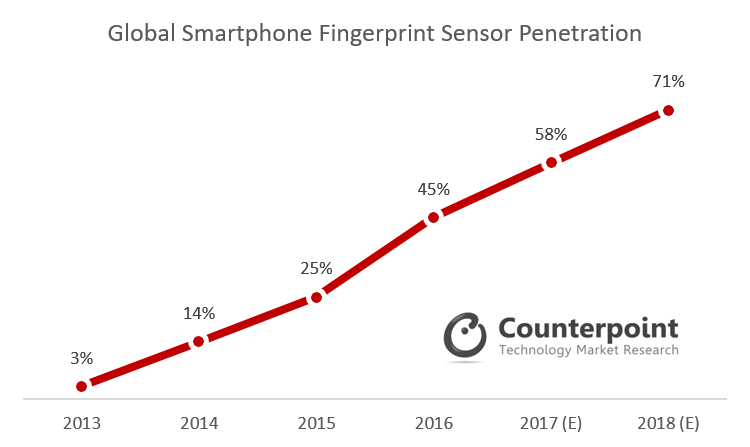 More than one billion fingerprint sensor enabled smartphones will be shipped in 2018. The fingerprint sensor is likely to become the standard choice for smartphone OEMs to provide for authentication. This is driven by a rapid rise in services such as digital payments, mobile banking and the commensurate increase in the need to be able to authenticate the user securely. In CY 2018, almost three in four smartphones will be equipped with a fingerprint sensor. Not only the adoption rate by users but also the advancement in the sensor integration has been rising by leaps and bounds. 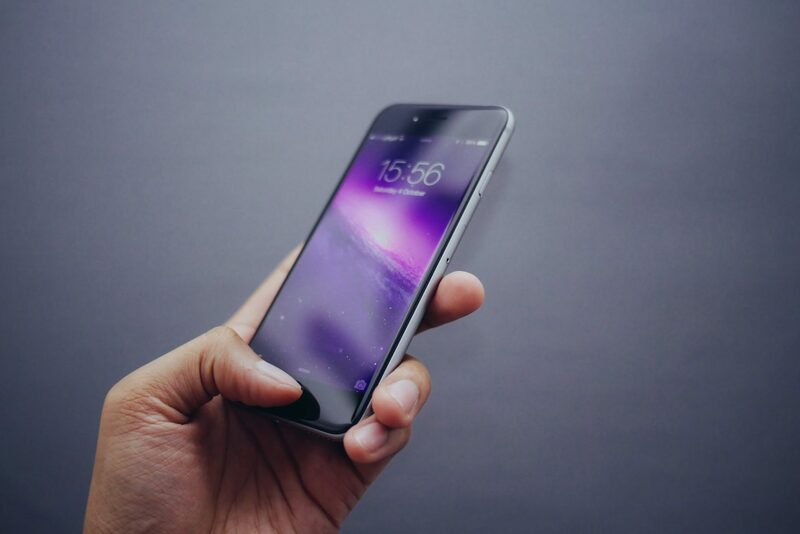 With changing smartphone designs to include more edge to edge displays, ultrasonic and optical fingerprint sensor technology, which can be used in with wide range of materials and even under the display screen or under water, will drive the technology forward. The penetration of fingerprint sensors in the low-mid end smartphones will increase next year due to rising scale and declining cost of the fingerprint sensor, making it one of the essential components in a smartphone. Samsung was the market leader within fingerprint enabled smartphones, contributing to 12% market share, followed by Apple and Huawei with 11% and 8% respectively, during Q2 2017. In terms of adoption across the total portfolio shipments, Apple and Xiaomi led, followed by Huawei and OPPO. However, Samsung, ZTE and LG lagged their rivals with a relatively lower rate of fingerprint sensor integration across their total shipments. Chinese brands are already using fingerprint sensors as a differentiator, especially in emerging markets, to compete with local and international brands. They are adding capabilities beyond just unlocking the phones or payments to include gestures to control the camera, gallery and other applications. Reliability of the fingerprint sensor is major issue, as most of the capacitive fingerprint sensors can be easily spoofed. However, with the latest fingerprint sensors that have live finger detection, or employ ultrasonic fingerprint sensing technology to create a 3D image of the fingerprints, it is potentially more secure and should be the next factor of differentiation for OEMs. There is an increasing pressure on fingerprint suppliers to match the growing demand of sensors, match the cost expectations to remain competitive and at the same time innovate. Suppliers like Fingerprints, Synaptics & Goodix currently contribute to over half of the total smartphone fingerprint sensors. However, players such as Qualcomm, eGIS and Silead are positioned to grow with more design wins in coming quarters. 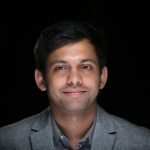 In a scenario where OEMs are increasingly differentiating their products from competition in terms of unique designs, the placement and the type of the fingerprint sensor plays a major role in the overall design of the smartphone. The suppliers have their work cut out and will be responsible for many OEM flagship design decisions. Watch out for under the glass and in-display designs in the next wave of flagship launches. Furthermore, customizing the smartphone sensor with a smart home button that can provide gesture support and over the top features like heart rate monitoring can also make it a more versatile sensor.